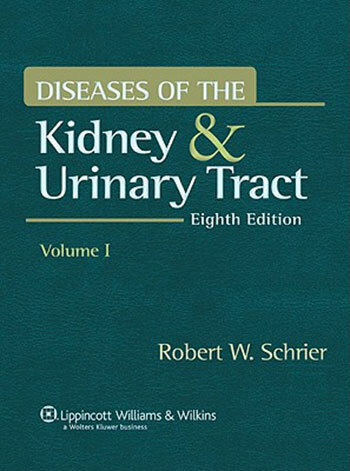 The thoroughly updated Eighth Edition of this classic three-volume work provides the most comprehensive, current, and authoritative information on diseases of the kidney and urinary tract. This clinically oriented reference focuses on diagnosis and treatment of specific diseases, disorders, and complications and incorporates the basic science practicing physicians need to evaluate and manage the disease process. Each of the fourteen sections is written by internationally renowned contributors and provides coverage comparable to a complete book. The first two sections review renal basic science and describe current diagnostic tools. The remaining twelve sections cover various types of diseases, including hypertension, urological problems, and urinary tract concerns. Each disease-oriented section begins with an up-to-date review of pathophysiology and then focuses on specific diseases. This edition has new lead authors for more than 25 chapters, and separate chapters on heart disease and the kidney, liver disease and the kidney, and the nephrotic syndrome.